The Konecranes Gottwald Model 5 Mobile Harbor Crane is the largest member in our family of medium-sized cranes. It is the right choice for port operators needing a high-performance crane that is well-equipped for standard requirements in terms of port infrastructure, annual hours worked and maintenance, in the 125 t range with an attractive price/performance ratio. The Model 5 crane can service container ships up to the 17th row, i.e. up to post-Panamax class. Its high lifting capacity of up to 125 t with an outreach of 18 m also gives the option of heavy lifting in projects. The Model 5 crane is equipped with a standard range of features that improve productivity and eco-efficiency for economical, sustainable cargo handling in ports and terminals. 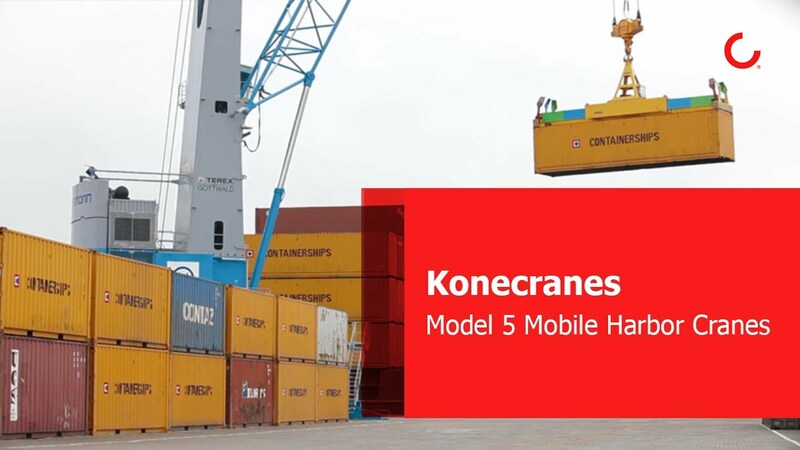 The Konecranes Gottwald Model 5 Mobile Harbor Crane is the largest member in our family of medium-sized cranes.